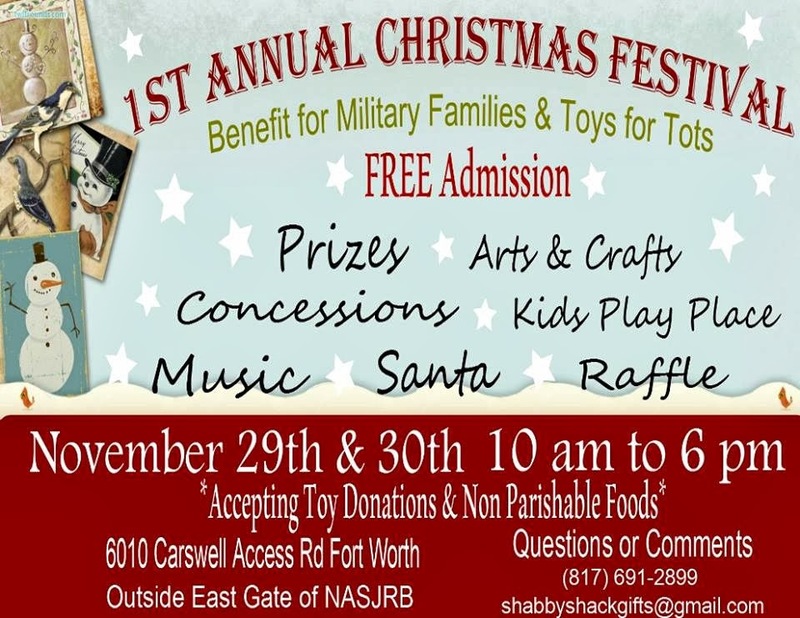 "Come join the Christmas Spirit at the 1st Annual Christmas Festival. This event is Free! Get your Christmas gifts here! Let the kids play while you shop in our Winter wonderland. Tons of games and prizes! We are collecting nonperishable foods and toys for Toys for Tots and needy families. See you there!" Outside East Gate of Nasjrb. Booths are 10 X 10 and cost a $35 donation. Applications are available here and are due by November 26th. 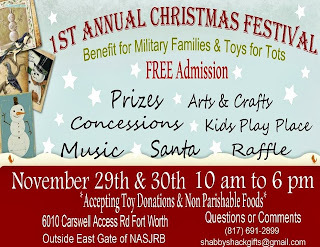 For more information, visit their website or contact their event coordinator, Tonya, at shabbyshackgifts@gmail.com / 817-691-2899 (text "booth").